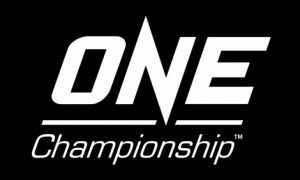 A battle of champions headlines this weekend’s monumental UFC event, the promotion’s first event broadcasted on ESPN+. Former Olympian and reigning Flyweight champion Henry Cejudo is set to put his 125-pound title on the line against current Bantamweight titleholder TJ Dillashaw at UFC Fight Night 143. Dillashaw, who will be dropping down in weight and competing at Flyweight for the first time, won’t be putting his title on the line, meaning he will have the opportunity to walk away with two titles in his possession. Having two champions face off against each other isn’t exactly a new idea when it comes to the UFC. 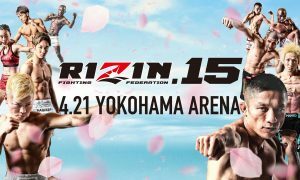 It occurred for the first time at UFC 94 in 2009 when then lightweight champion BJ Penn moved up in weight to challenge Georges St. Pierre for the 170-pound title. Though Penn ultimately came up short, more recently the idea of fighters attempting to simultaneously hold titles in multiple weight classes has seemed to become far more common. In fact, Dillashaw could become the fourth fighter in promotional history to achieve such a feat. Irish superstar Conor McGregor, perhaps the man to coin the phrase “champ-champ,” entered the UFC in 2013 with a 12-2 record. 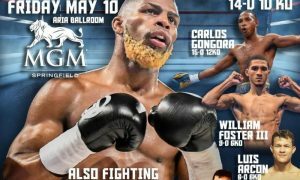 He quickly made clear that his plan was to rise through the Featherweight ranks, win the 145-pound title and move up to Lightweight to challenge for a second belt. McGregor made good on his word. 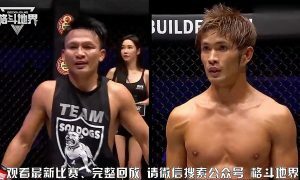 Following a meteoric rise at 145 pounds that saw McGregor win six-straight bouts with five of those wins coming via T/KO, the “Notorious” one challenged Jose Aldo for the title at UFC 194 in December 2015. In shocking fashion, McGregor stopped Aldo in just 13 seconds to become the undisputed Featherweight champion. Shortly thereafter, he was booked to challenge Rafael dos Anjos for the Lightweight title at UFC 196 in March 2016. Dos Anjos, however, suffered an injury, leading Nate Diaz to step up on short notice and famously choke out McGregor in what was the beginning of one of the biggest rivalries the sport has ever seen. Five months later at UFC 202, McGregor exacted revenge, earning a majority decision victory after a five-round brawl with Diaz in their rematch. 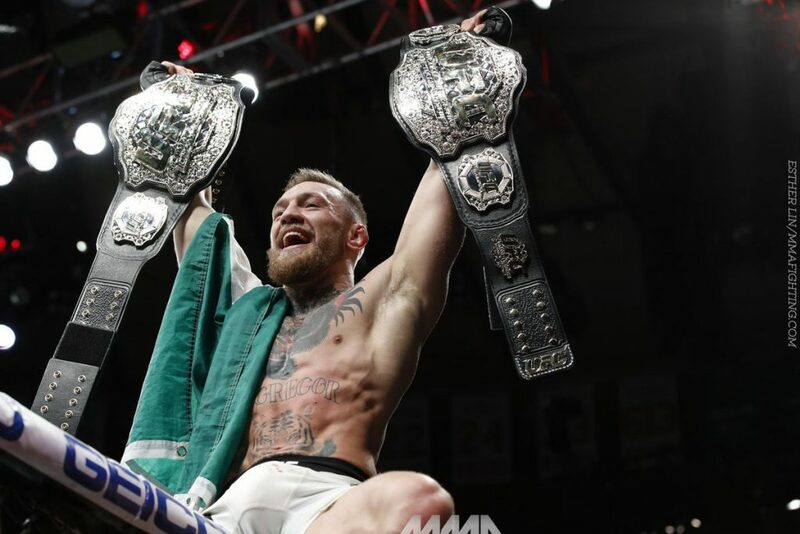 Following the win, McGregor would once again get his chance to become the UFC’s first two-division champion, as he was booked against Eddie Alvarez in the main event of UFC 205 in November 2016. Ultimately, Alvarez proved to be no challenge for McGregor, as the Irishman knocked him down multiple times in the first round before finishing him off with a vicious combination in the second round to become both the UFC Featherweight and Lightweight champion. At UFC 214 in July 2017, bitter rivals Daniel Cormier and Jon Jones were finally scheduled to rematch for the Light Heavyweight title that Cormier held at the time. Jones ended up winning via third-round TKO, but it was revealed after the bout that he had failed a drug test, leading Cormier to be reinstated as the 205-pound champion. “DC” then went on to defend his title against Volkan Oezdemir at UFC 220 in January 2018. In the main event that night, Stipe Miocic successfully defended his Heavyweight title against Francis Ngannou and talk then quickly shifted to a potential super fight between Miocic and Cormier. UFC President Dana White apparently liked the idea and Miocic and Cormier were booked to fight at July 2018’s UFC 226 where Miocic’s title would be on the line. 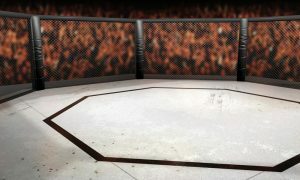 And while some felt as if it would be a close fight, it turned out to be the opposite, as Cormier drilled Miocic with a big right hand out of the clinch in the first round and then finished the fight with a flurry of strikes on the ground to become the second fighter in promotional history to simultaneously hold two titles. 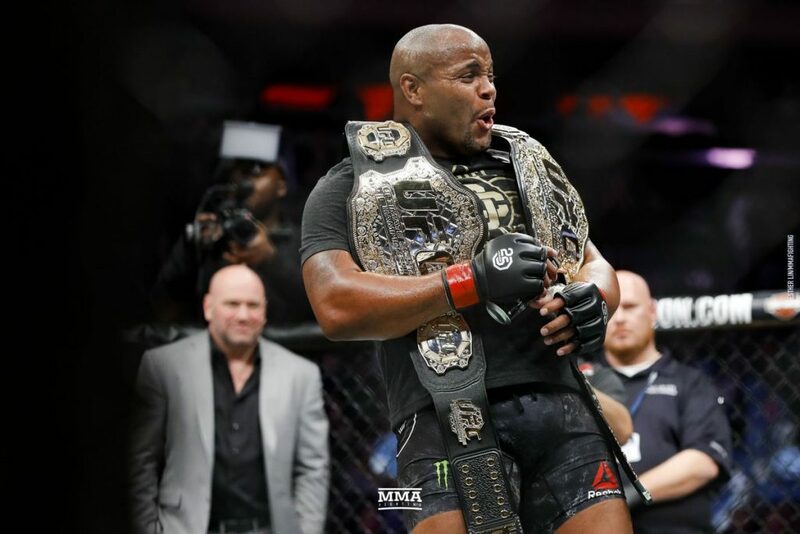 Cormier then went on to defend the Heavyweight title against Derrick Lewis at UFC 230, becoming the first UFC fighter to not only hold titles in two different weight classes but to defend both of them as well. He has since vacated the Light Heavyweight strap but remains the Heavyweight champion. After putting together a 5-1 UFC record, Brazil’s Amanda “Lioness” Nunes earned a Bantamweight title shot against Miesha Tate at UFC 200 in July 2016. To the surprise of some, Nunes ran through Tate, bloodying her up and choking her out in the first round to become the 135-pound titleholder. Following that victory, Nunes defended her title three-straight times, bulldozing Ronda Rousey at UFC 207, scoring a split-decision victory over Valentina Shevchenko in their rematch at UFC 215 and finishing Raquel Pennington in the fifth round of their bout at UFC 224. 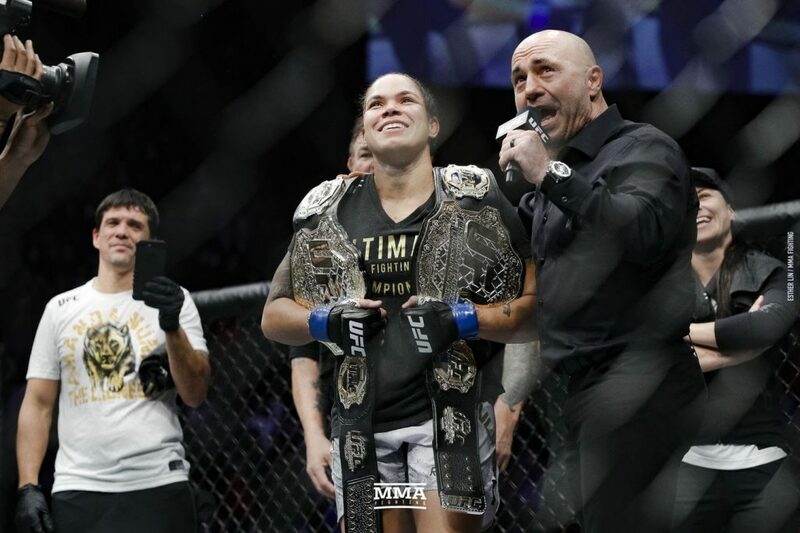 With seven-straight victories and multiple title defenses under her belt, Nunes expressed her interest in challenging the dominant Cris Cyborg for the Featherweight title. UFC President Dana White quickly expressed interest in the idea and booked the matchup for UFC 232 last month in Inglewood, California. In a bout that would likely determine the best women’s mixed martial artist of all-time, Nunes entered the as the underdog with many unsure if she’d be able to deal with the power of Cyborg, who up until that point held a 20-1-1 record that featured 17 knockouts. Once again, however, Nunes shocked the world and she made it look easy, knocking out Cyborg less than one minute into the bout. Not only did she become the third fighter in UFC history to simultaneously hold two titles but she became the first female to do so.